Junji Ito’s art is scary. And cosplayer Ikura’s recreations of his work are creepy nightmare fuel. No wonder he’s a fan. Kotaku previously introduced Ikura’s work, but as IT Media recently pointed out, one of the most amazing thing about her cosplay photos is that they have the Ito seal of approval. He’s been retweeting her work on a regular basis, which is why his fans, which include the likes of Guillermo Del Toro, have retweeted Ikura’s cosplay. 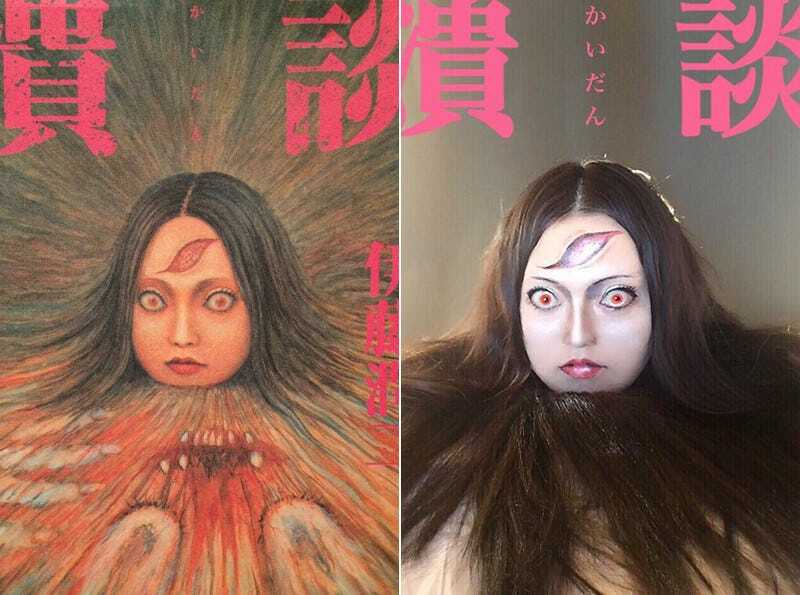 Ikura seems to exclusively cosplay as characters from Ito’s horror manga, which must be incredibly flattering. Her recreations of characters in Ito’s creepy manga panels are dead on. And terrifying. These photos offer a closer look at the make-up she does for the pics. “I’ve been totally surprised [by the reaction],” Ikura said, adding that she was able to realize anew that Ito had a global following. Ikura told IT Media that she wants to challenge herself with more characters. Ito’s manga are an endless source of unsettling inspiration. For more, you can follow Ikura and Junji Ito on Twitter.